The Unsworth Vineyards was our first stop on the Moveable Feast. When we arrived, there was a table set out next to the vines that was being set for breakfast served up by Amuse Bistro, which just relocated their award-winning restaurant to the property. We debated just sitting down and pretending like it was meant for us, but decided we would just have to make a return visit to check out the restaurant. The woman serving up wine tastings told us that the property had recently changed hands, and they had planted an abundance of new vines to produce more varietals in the future. Tasting wine first thing in the morning after a measly breakfast of blueberries scarfed down in the line waiting for the Mill Bay Ferry was juts fine with me - I wasn't driving. I opted for the trio, selecting a few of the wines that looked interesting. 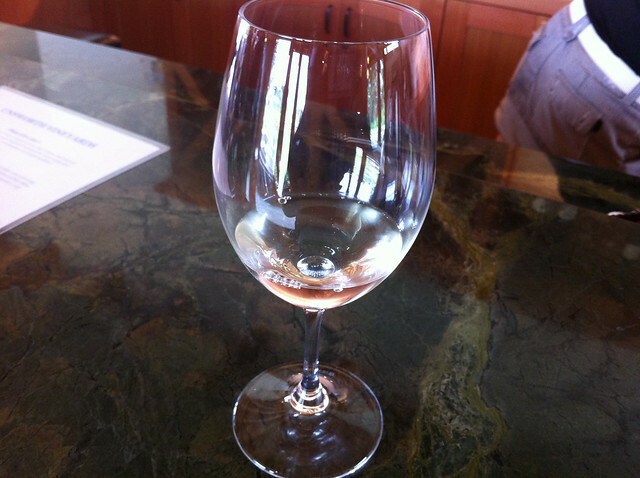 Pinot Gris was the first white wine that I've ever liked, so I tend to explore it to find one that I liked as much as the first type I tried which, of course, is no longer available. This wasn't my favourite Pinot Gris, it was fairly clean tasting and I like a bit of subtle fruitiness. I haven't tried a rose in a while. This one tasted pretty similar to me to the pinot, maybe a bit edgier. I think I need to get a lot more educated about wine before I write about it further... (add it to the to do list!). This was the wine we ended up taking away with us. 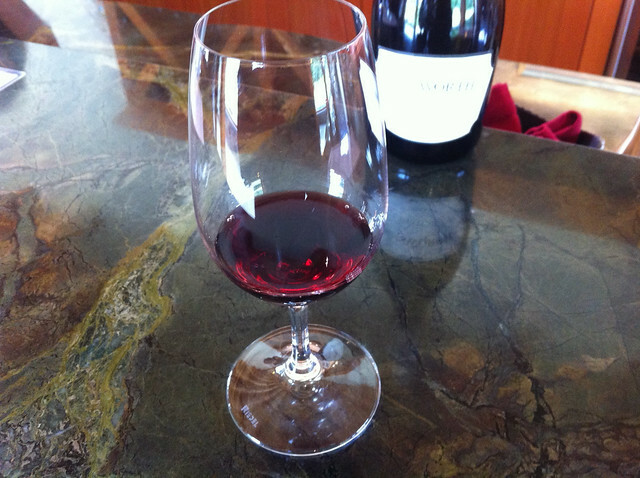 A port-style beverage, it was a deep-red colour. 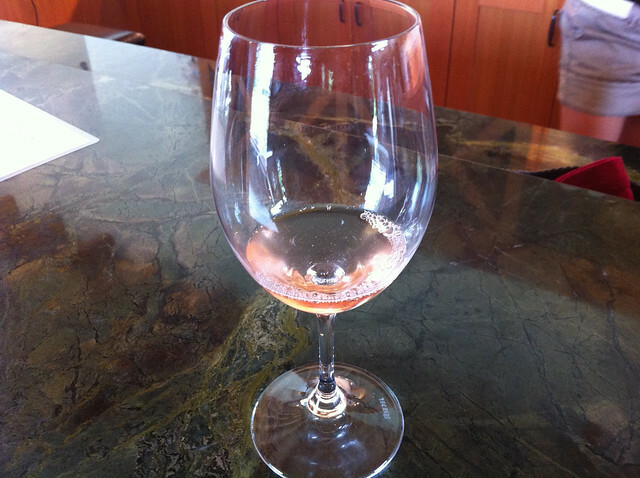 Unlike some ports or ice wines, it isn't too sweet. There is a definite essence of grape in the primary flavour, but a berry complexity as well. The woman doing the wine tasting was very helpful - lots of information about the winery and the wines, which she scaled up to nerdy levels once she realized we had a few educated wine-lovers in the group (ie not me).